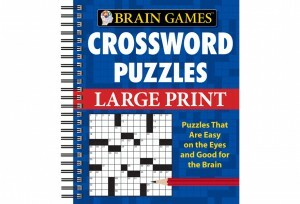 Brain Games: Large-Print Crossword Puzzles is bursting with crosswords that are sure to challenge your language and vocabulary skills—without straining your eyes. 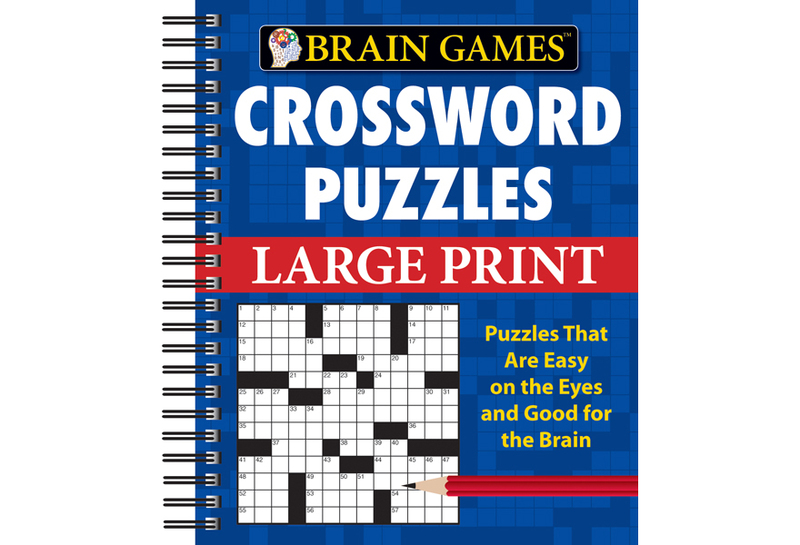 Features more than 80 crossword puzzles that are spread out on two pages, offering an easy-to-see and simple-to-fill-out format. Puzzles are arranged in order of increasing difficulty, ensuring plenty of options for all levels of puzzlers. Compact and portable, this book can be easily toted so you have puzzles at the ready—anytime, anywhere.